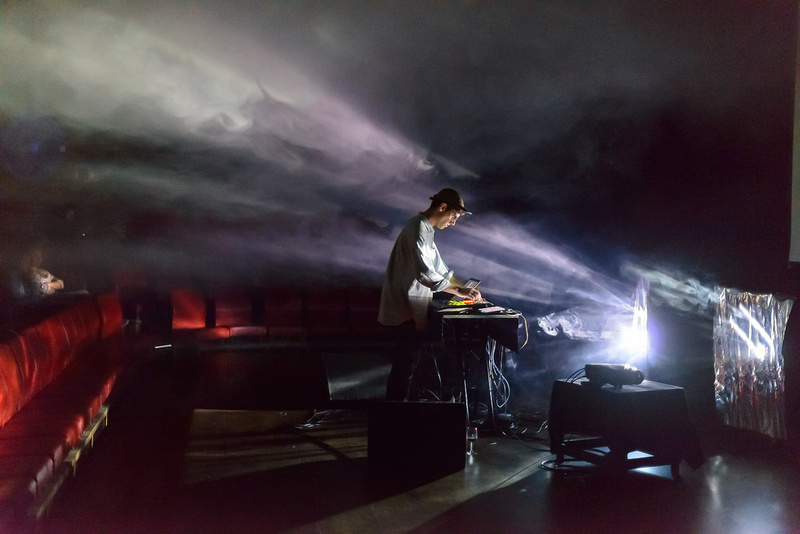 Doron Sadja is an American artist, composer and curator based in Berlin whose work explores modes of perception and the experience of sound, light, and space. Working primarily with multichannel spatialized sound – combining pristine electronics with lush romantic synthesizers, extreme frequencies, dense noise, and computer-enhanced acoustic instruments, Sadja creates post-human, hyper-emotive sonic architecture. Although each of Sadja’s works are striking in their singular and focused approach, his output is diverse: spanning everything from immersive multichannel sound pieces to sexually provocative performance / installation works, and stroboscopic smoke, mirror, laser, and projection shows. During his residency he focused on the creation of a new project entitled “We Are Never Ever Ever Getting Back Together”, a kinetic installation investigating ways of dismantling and recontextualizing white noise and white light. The outcome of the residency was presented in The Hague at Quartair during the 24th edition of the No Patent Pending series on May 29th 2016. Find out more about “We Are Never Ever Ever Getting Back Together” here.